Go visit Wordless Wednesday headquarters! What a great action shot! I love the red uniform against the green green grass...Nice! wow!!! 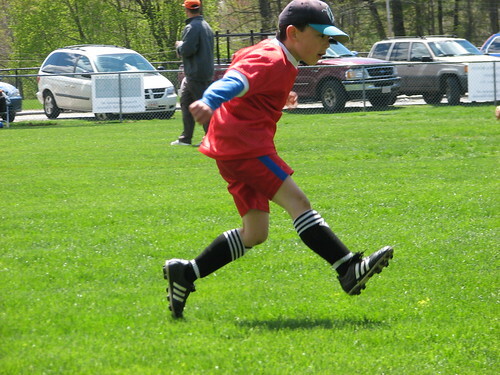 bending it like beckham!!! way to go, kiddo!!! great form!!! I love the soccer photos! I think I could post them everyweek! Great picture.